The Bowers and Wilkins PX are decent mixed-usage, wireless headphones, with great isolation for commuting, and a sturdy premium design. 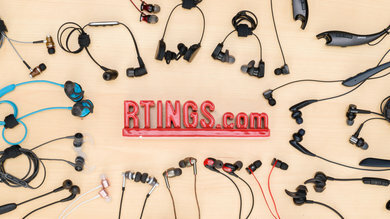 They are easily one of the best-built over-ears we've tested, and they have a good enough sound quality for most listeners. 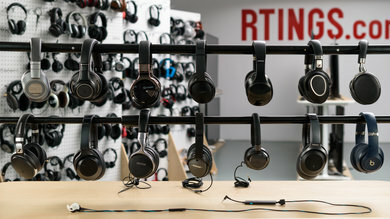 Unfortunately, their best noise isolation profile negatively affects their sound quality, they're slightly bulky and heavy, and they're uncomfortably tight on the head at first. 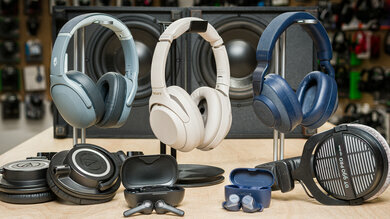 They won't be the ideal over-ears for all listeners, but they're a suitable premium option for commute and travel. Great isolation and low leakage. A bit too tight on some heads. 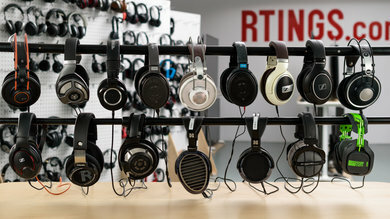 The B&W PX are exceptionally well-built headphones, but they're a little too tight on the head. 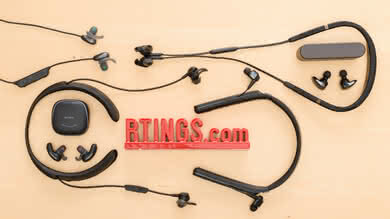 They look and feel premium with a sturdy build quality that feels durable and very high-end. They have an intuitive control scheme that's decently responsive, and magnetic ear cup pads that can be easily removed and replaced. 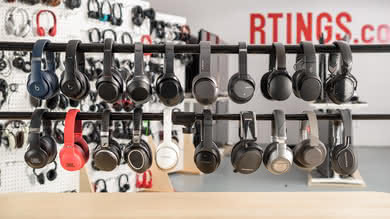 Unfortunately, they're a little heavy and cumbersome and do not fold, so they won't be the easiest headphones to carry around on your person. 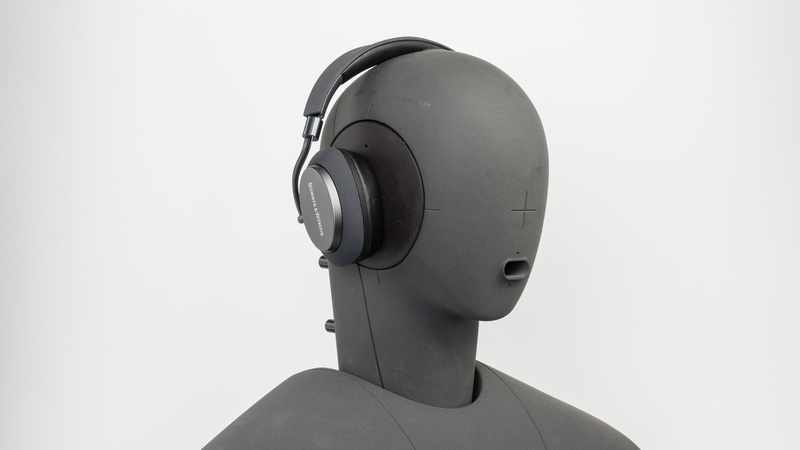 They're also very tight out-of-the-box, which makes them somewhat uncomfortable, especially for listeners with larger heads. 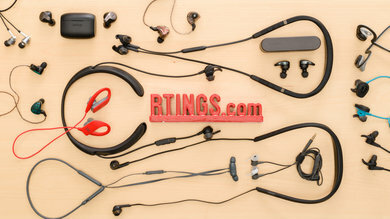 The ear cup pads somewhat mitigate the clamping force issue once on your head, however, their tight fit might be a deal breaker for some, especially when compared to other wireless over-ears like the Bose QuietComfort 35 II or the Beoplay H9. The PX have the same design language as the rest of the B&W line-up but with an updated frame design that looks sturdier and more luxurious. 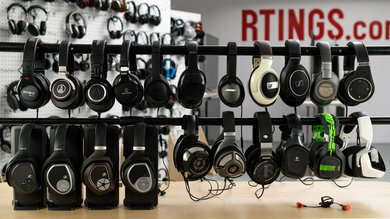 They have dense and slightly rounded ear cups with decently thick pads. 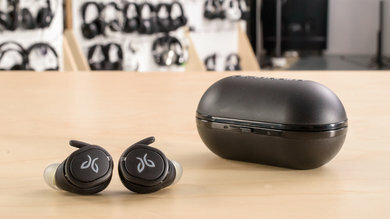 The headband is also generously padded and wider than that of the P7. They come in two color schemes; a dark gray matte finish that looks elegant and high-end and a slightly flashier gold that will still work for some and also looks very premium. 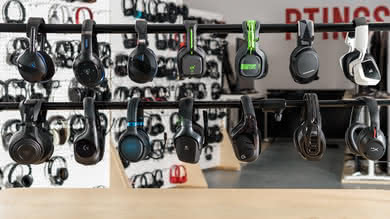 However, the headband is not as low profile as some of the other wireless headsets like the H9 or the Crossfade 2 Wireless, so they do stick out quite a bit once on your head. 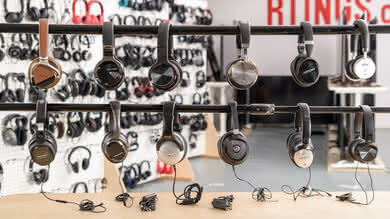 They won't be the most trendy looking headset, but they look and feel like classy travel headphones, which a lot of listeners may prefer. The B&W PX are very tight on the head but decently well padded. 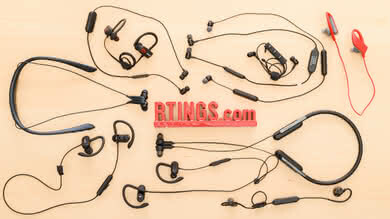 They have large oval ear cups that are fairly deep and spacious enough to be comfortable around most ears. 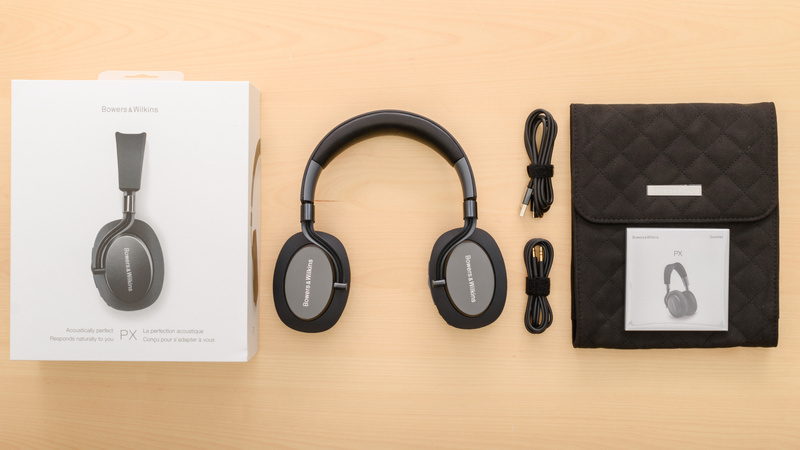 The headband and ear cups are also well padded with genuine leather that feels nice on the skin. Unfortunately, the PX are slightly heavy and uncomfortably tight out-of-the-box. The ear cup pads are thick enough to make the clamping force less noticeable after wearing them for a while, but they will still be slightly too tight on some heads even with the headband fully extended. 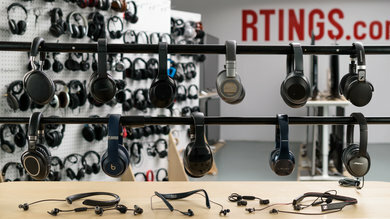 They won't be as comfortable as the Bose QC35 II or the Beoplay H9 for long listening sessions, and this might be a deal breaker for some. 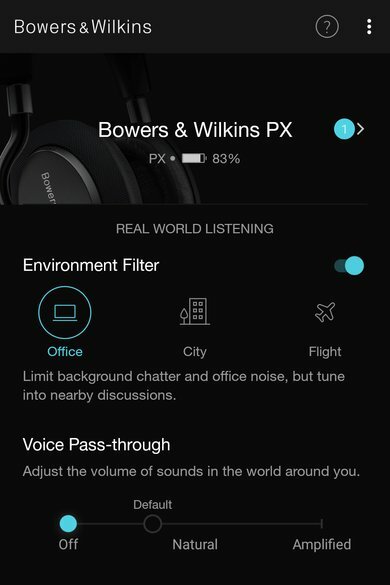 The Bowers & Wilkins PX, like the rest of the wireless B&W line, have a simple and efficient control scheme. They have a straightforward 3 button set up for volume control, call/music and track skipping. They also have a similar power switch to the P5 wireless that doubles as the Bluetooth pairing button if you press and hold. They have a dedicated noise canceling button to enable and disable the noise cancellation feature, but unfortunately, there is no aware/talk through mode. Overall, it's an easy to use control scheme with decent feedback. 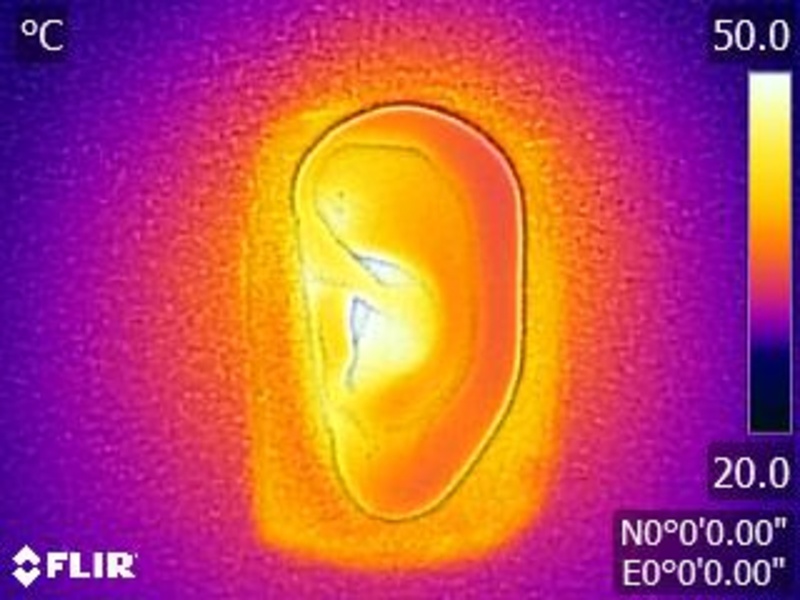 These headphones get fairly hot once on your ears. 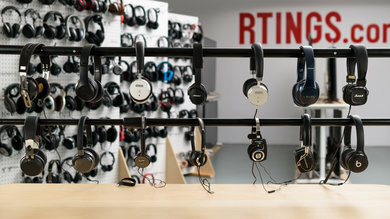 They have decently roomy earcups but also have leather pads and a tight fit that seals your ears within the cups and makes them sweat a bit more than average during long listening sessions. 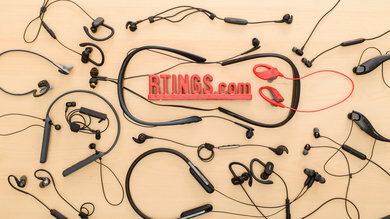 They won't be the best headset to workout with or for running in terms of breathability but they should be okay for regular casual listening. 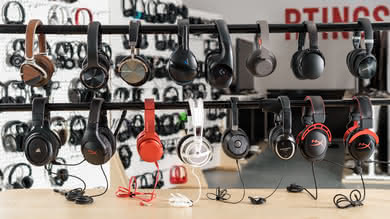 The B&W PX, like relatively large over-ears, do not fold into a more compact format. 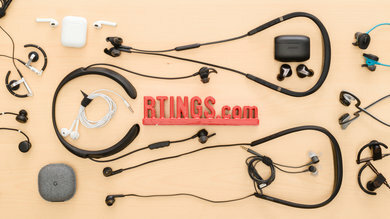 The ear cups lay flat which may come in handy in some situations, but they're still a bit too cumbersome to comfortably carry around on your person without a bag. 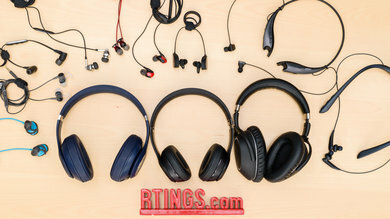 These headphones come with a well-made pouch that will protect them from scratches and scuffs when in your bag but won't shield the headset from impacts or water damage. 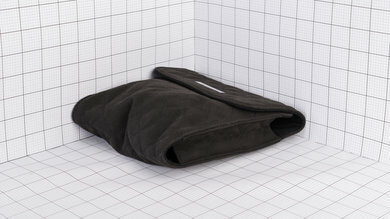 Also, considering the price of these headphones, a simple pouch instead of a hard or even a soft case feels a bit cheap. The build quality of the B&W PX is one of the best we've tested. 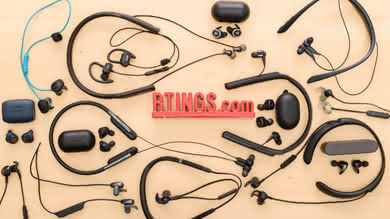 They feel very durable, and they're made with a good combination of high-end plastic and a sturdy aluminum alloy frame that can easily withstand a couple of accidental drops and impacts. 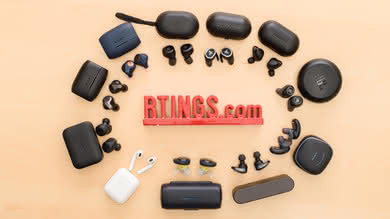 The ear cups are dense and durable, and unlike some of the other premium wireless headsets like Sony WH-1000XM2 or the WH-1000XM3, they do not have any folding joints which means they are less likely to break under physical stress when carried in your bag. The ear cup pads magnetically attach to the cups so you can quickly swap them out for new ones if ever the original set gets worn out. 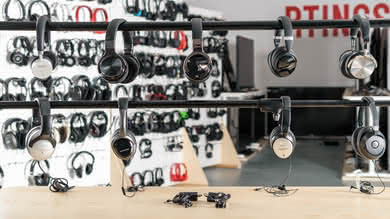 The headband isn't as malleable as that of the P7, but unless there is a major defect that we have yet to take into account, they are easily one the best built wireless over-ears that we've tested. Unfortunately, all that metal does make them a bit heavy. 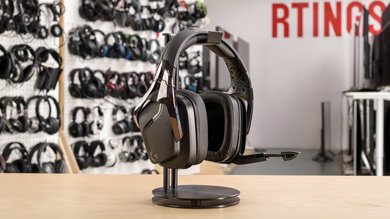 The B&W PX are wireless and quite tight on the head, so they're fairly stable for most activities. 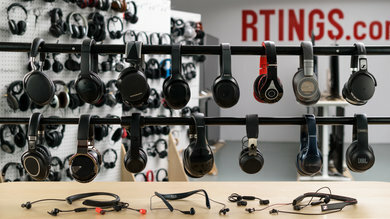 They won't be the best headphones to take to the gym, and they're fairly bulky, so they will move a bit when tilting your head. 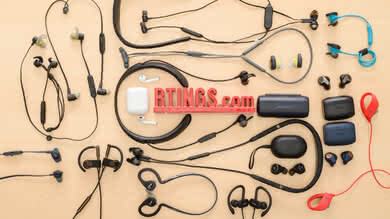 They should be stable enough for most casual uses and even jogging but the ear cups are fairly heavy and will sway a bit when you run which is not ideal. On the upside, the lack of a cable means they won't get yanked of your head because the audio cable got hooked on something. 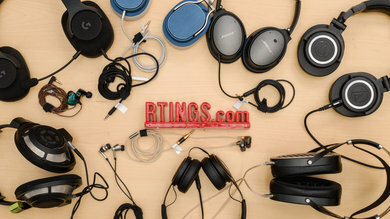 These headphones come with a 1/8'TRS audio cable and micro-USB charging cable. 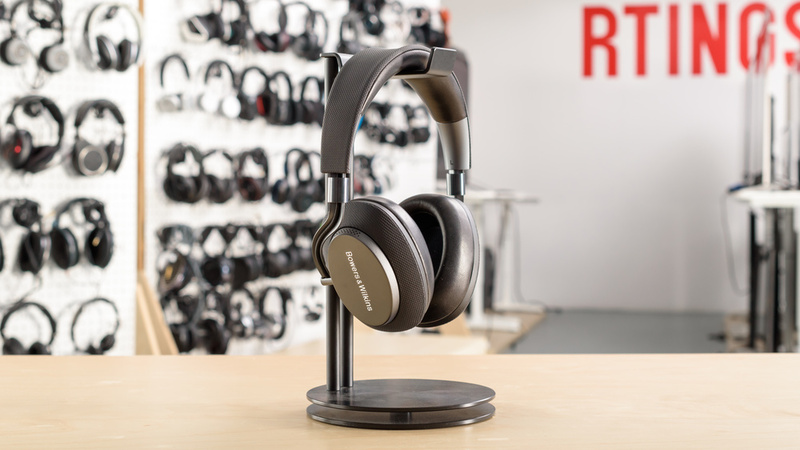 The Bowers and Wilkins PX is a decent sounding pair of closed-back over-ear headphones. 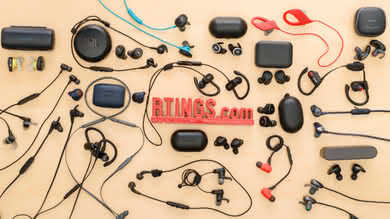 They have a deep, extended, and powerful bass, an even and decently balanced mid-range, and a great imaging performance. 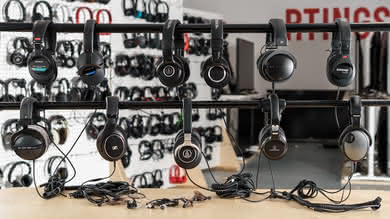 However, their bass is prone to significant inconsistencies especially if the user wears glasses, their mid-range sounds quite thick and cluttered especially on vocals, and their treble lacks a bit of brightness and detail. 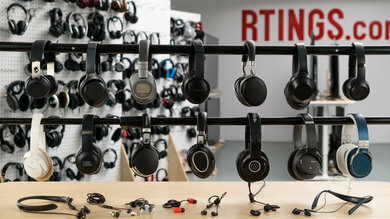 Additionally, like most other closed-back headphones, they don't have a speaker-like soundstage. Note: The PX was measured with the ANC mode set to Office, since City and Flight settings have a small negative effect on the sound quality. The bass is very good. LFE (low-frequency extension) is at 10Hz, which is excellent and the low-bass range, responsible for the thump and rumble in music, is within 1dB of our target. Mid-bass, responsible for the body of bass guitars and punch of kick drums, is over our neutral target by more than 2dB. High-bass, responsible for warmth, is overemphasized by 5dB, making the overall bass a bit boomy and muddy sounding. Also, their bass delivery varies significantly across users, and is sensitive to the quality of fit, seal, and whether you wear glasses. The response here represents the average bass response and your experience may vary. 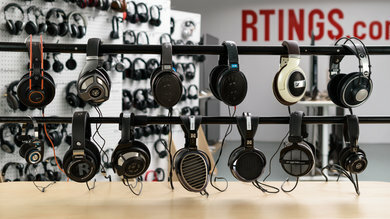 The B&W PX have a decent mid-range performance. The bump in low-mid is actually the continuation of the high-bass overemphasis. This thickens the vocals and makes mixes cluttered sounding. Mid-mid ad high-mid are also a bit recessed, nudging the vocals and leads towards the back of the mix. The treble performance of the Bowers & Wilkins PX is below-average. The response is rather uneven, and consistently under our neutral target. The dips in low-treble and mid-treble, especially, negatively affect the level of detail and brightness in vocals, lead instruments, and cymbals. The B&W PX have a sub-par frequency response consistency. In the bass range, the maximum amount of deviation at 20Hz is more than 18dB. However, most of the deviation was measured on the human subjects who wears glasses. On the upside, the treble delivery is much more consistent, and doesn't change significantly across different positions and re-seats. 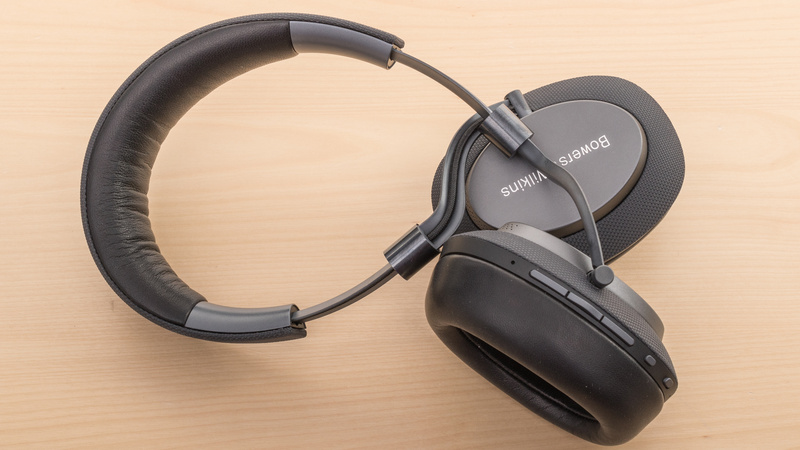 For noise-cancelling headphones with a more consistent response, check out the Bose QuietComfort 35 II and the Sony WH-1000XM2. The imaging is very good. Weighted group delay is at 0.24, which is very good. The GD graph also shows that the entire group delay response is below the audibility threshold. Additionally, the L/R drivers of our test unit were very well-matched in frequency and amplitude response, but showed some mismatch in the treble range. This could make the stereo image a bit unnatural, but won't negatively affect the placement of objects (voices, instruments, video games effects) in the stereo field. 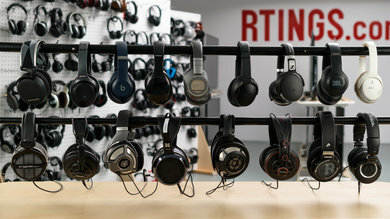 The B&W PX have a below-average soundstage. The shape of the PRTF response isn't quite accurate but does show some amount of activation. This results in a soundstage that is perceived as relatively large but maybe a bit unnatural. 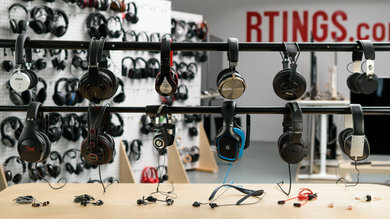 Also, due to the closed-back design, their soundstage may be perceived as less open and spacious than that of open-back headphones. The harmonic distortion performance of the PX is above-average. The overall amount of harmonic distortion is within decent limits. 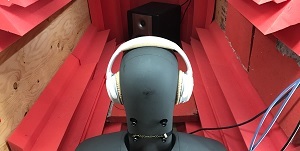 We also noticed that at 100dB SPL the measured THD in the bass range is less than 90dB SPL, which could be due to the behavior of the driver, or the ANC system. 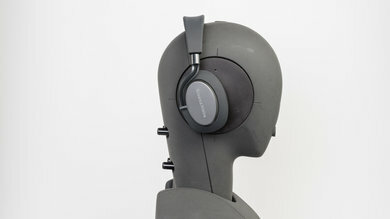 The Bowers and Wilkins PX have a great isolation performance provided you select the correct noise canceling profile. They work best using the 'flight' setting which isolates well enough for busy city commutes and long noisy flights. 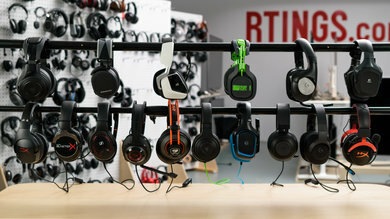 They will prevent a good amount of low rumbling noise, and chatter from seeping into your audio and since they create a fairly good seal around your ears they also block a fair bit of high frequencies. 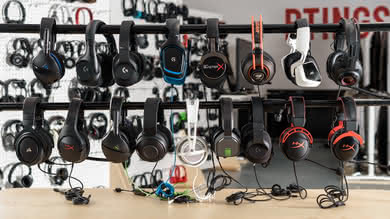 They also barely leak, which means you can always mask even more ambient noise by increasing the volume level of your audio without distracting those around you. This makes them a good choice for commute/travel and for the office. 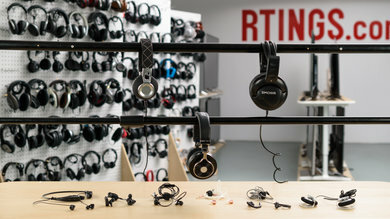 Unfortunately, the flight noise isolation profile negatively impacts the sound quality of the headphones so depending on the situation, you might have to sacrifice sound quality for a better isolation. The PX has a great isolation performance. 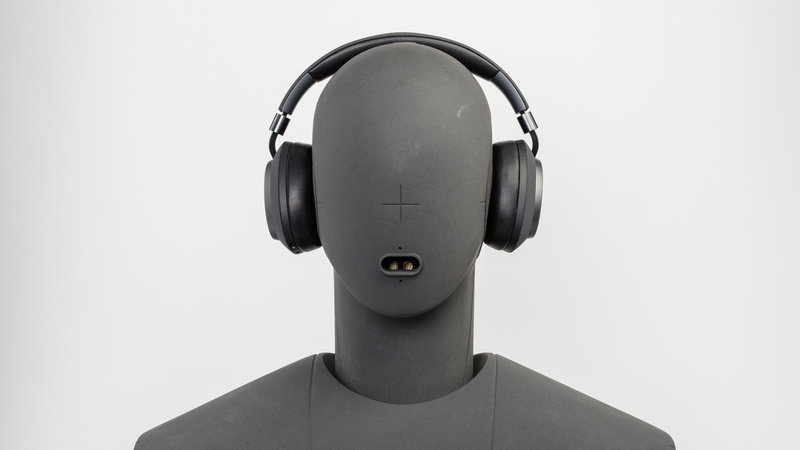 With ANC (active noise canceling) enabled and set to Flight, they achieved about 22db of isolation in the bass range, which is where the rumble of airplane and bus engines sits. This is excellent, and one of the highest values we have measured so far. In the mid-range, important for blocking out speech, the reduce outside noise by more than 23dB, which is also excellent. In the treble range, occupied by sharp sounds like S and Ts, they achieve 36dB of isolation, which is very good. The leakage performance of the PX is very good. The significant portion of the leakage is spread between 1KHz and 3KHz, which is quite a narrow range. This means that the leakage will sound high-pitched and thin. On the upside, the overall level leakage is not very loud either. With the music at 100dB SPL, the leakage at 1 foot away averages at 34dB SPL and peaks at 54dB SPL, which is just above the noise floor of most offices. The B&W PX have a sub-par microphone. In quiet environments, speech recorded/transmitted with this mic will sound relatively thin and noticeably muffled. In noisy situations, it will struggle to fully separate speech from background noise even in moderately loud environments, like a busy street. The recording quality of the integrated microphone is sub-par. LFE (low-frequency extension) is at 381Hz. This results in a recorded/transmitted speech that sounds noticeably thin. In the treble range, the response cuts off at 3.5KHz suggesting a speech that lacks detail and sounds muffled. It should be noted that the mic of the PX didn't respond normally to our test signal (pink noise) and this resulted in a bump in frequency response around 600Hz, which is not present the provided speech recording. The noise handling of the PX's integrated microphone is sub-par. 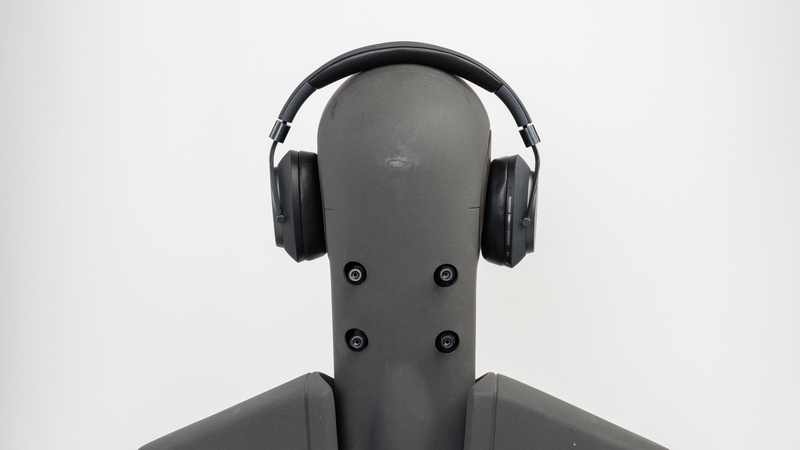 In our SpNR test, they achieved a speech-to-noise ratio of less than 10dB. 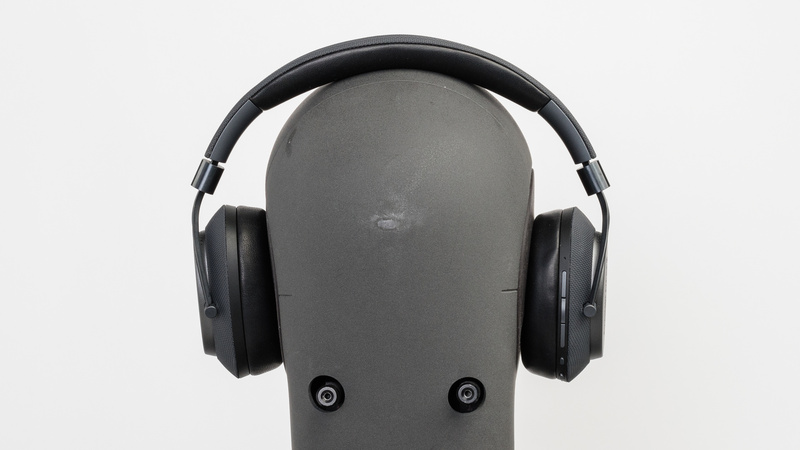 This means that this mic is best suited for use in quiet environments, and it'll struggle to fully separate noise from ambient noise in loud and even moderately environments. The Bowers & Wilkins PX headphones have good active features. The battery life is great, but they are slow to recharge, and they can't be used when the battery is dead. The PX app is available for iOS and Android, and it has a great design, but it has very limited features compared to the competition's companion apps. 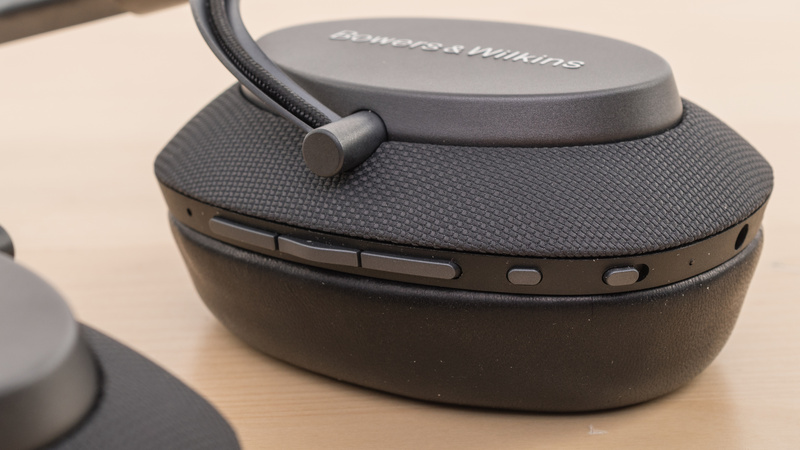 The Bowers & Wilkins PX have good battery performance. They last over a day with continuous wireless playback. 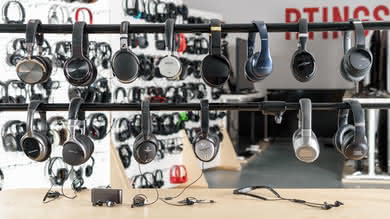 Unfortunately they take about 4 hours to charge, which is a lot longer than similar models like the Sennheiser PXC 550 or Beats Studio 3. Unlike the PXC 550, there is no passive playback, but they can be used while they are charging. The PX app has is decent. It has a sleek design but has very limited functionality. There is an option to switch between the different noise cancelling modes, as well as a toggle for the smart pause feature. 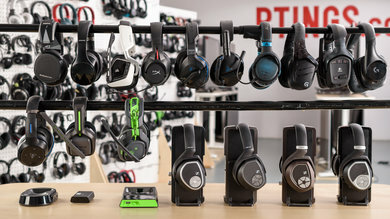 When enabled, smart pause will pause music playback when the headset is removed. The app is available for iOS and Android, and there are no differences between the two. 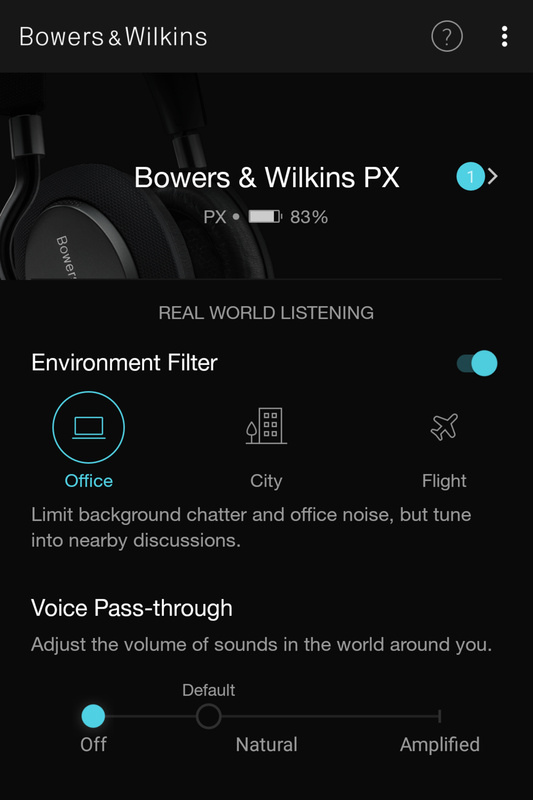 It lacks more advanced features like the ones in the Sennheiser Cap Tune app for the PXC 550 Wireless headphones. There is no EQ, no options for room effects, and no power saving feature. 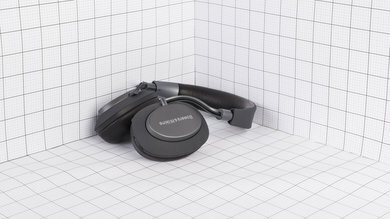 The Bowers & Wilkins PX Headphones support Bluetooth or a wired USB-C connection. 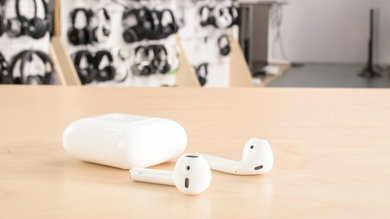 They can be paired with up to 2 devices, and they will automatically connect to the most recent of the two when powered on. The wireless range is good, and most people will be able to walk around their house without losing the connection. 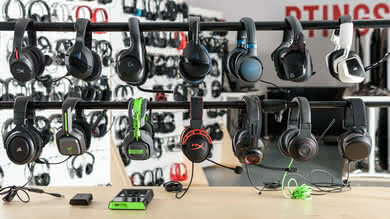 They can be used while charging, and the included USB-C charging cable supports audio and microphone when connected to a PC, but the microphone can't be used with a game console. 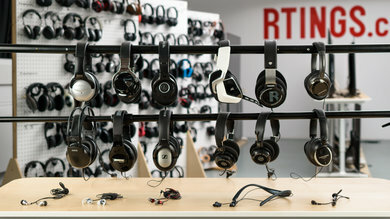 Unfortunately, latency is very high, so these headphones won't be the most suitable for watching movies or gaming. 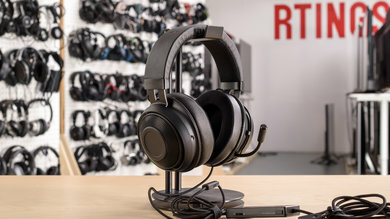 On the upside, they do come with a simple 1/8" TRS cable that will provide audio when connected to most devices with a headphone jack (including your PS4 or XBox one controller). 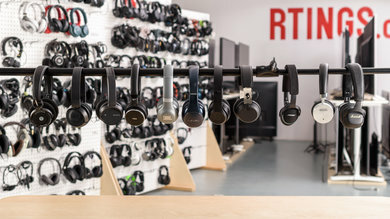 The PX headphones will remember the previous 2 devices they have paired with, and will automatically connect with the most recent of the two when switched on. 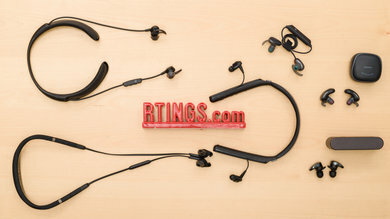 Unlike the Sennheiser PXC 550, there is no NFC support, and pairing is a little more difficult than with the Bose QuietComfort 35 II since they must be turned off before holding the power button to enter pairing mode. They are not compatible with game consoles. 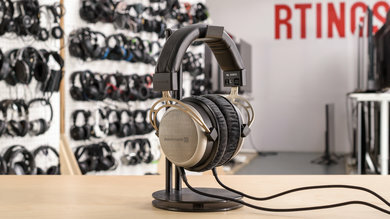 The B&W PX headphones come with a 1/8" TRS audio cable, but it is only a two-pin connector so the microphone doesn't work with a PS4 or Xbox One controller. When connected to a PC with the included USB-C cable, audio and the microphone work without issue while the headphones are charging. 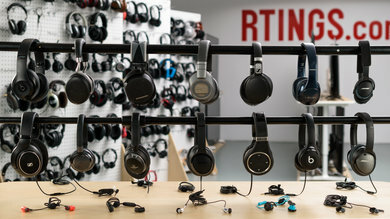 These headphones do not have a base/dock. 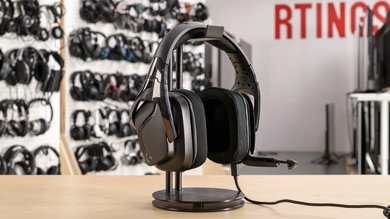 If you are looking for a versatile headset that can also be used wired, check out the SteelSeries Arctis 7. 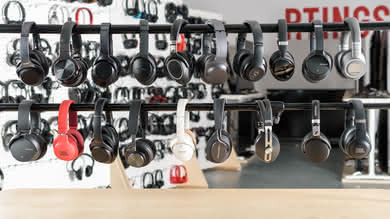 The B&W PX headphones have a very good wireless range. 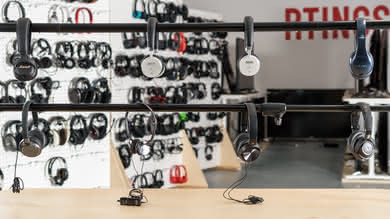 Indoors when obstructed by walls and other objects, the range is about 32 ft, which is good enough to walk around an average apartment or house without the audio cutting out. Outdoors or in large open spaces the maximum distance is about 176 ft, which is decent. 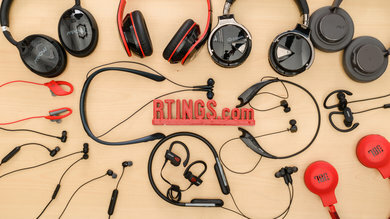 Poor latency performance for watching movies and gaming, but on par with other Bluetooth headphones. 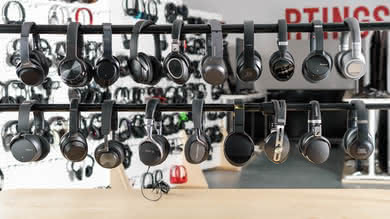 The PX headphones do support aptX HD, which improves sound quality but typically has worse latency. The Bowers & Wilkins PX are great noise canceling headphones with a sturdy and premium build quality but a tight fit and an average sound. 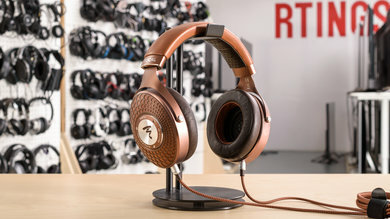 They do not sound quite as balanced as some of the other wireless over-ears compared below and they don't have an EQ so you can't customize their sound profile to your liking. 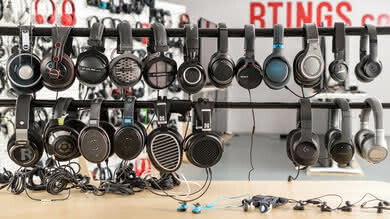 On the upside, they cancel a lot of noise and barely leak, which makes them a great choice for commuting and traveling. They're also much better built than most of the competing models. Unfortunately, their tight fit might be a bit of an issue for some. 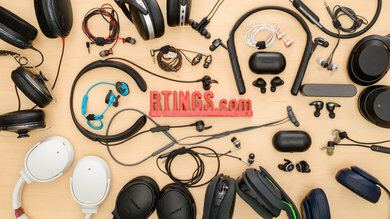 See our recommendations for the best wireless over-ear headphones, the best noise cancelling over-ear headphones and the best headphones for bass. 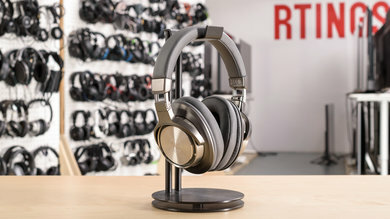 The Bowers & Wilkins PX are more versatile headphones for everyday casual use than the Audio-Technica ATH-DSR9BT are. 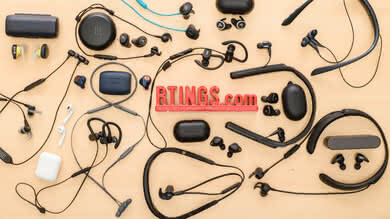 The PX have a great noise cancelling feature, a longer battery life, and their metal build is very sturdy. 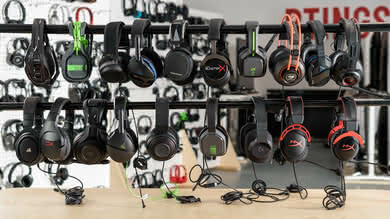 On the other hand, the sound quality of the PX is more suited for bass-heavy genres. 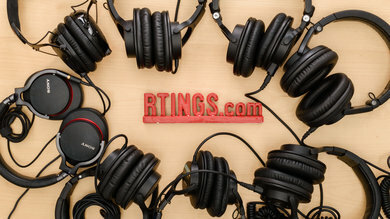 The Audio-Technicas have a flatter frequency response and are more comfortable. 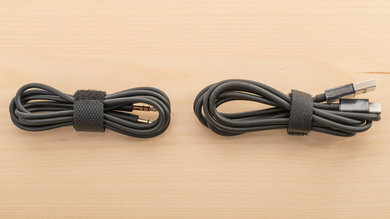 However, they can’t be used wired with phones since you can’t use them with a 1/8” cable. The PX also offer more battery life and can connect to multiple devices simultaneously. Decent for mixed usage. 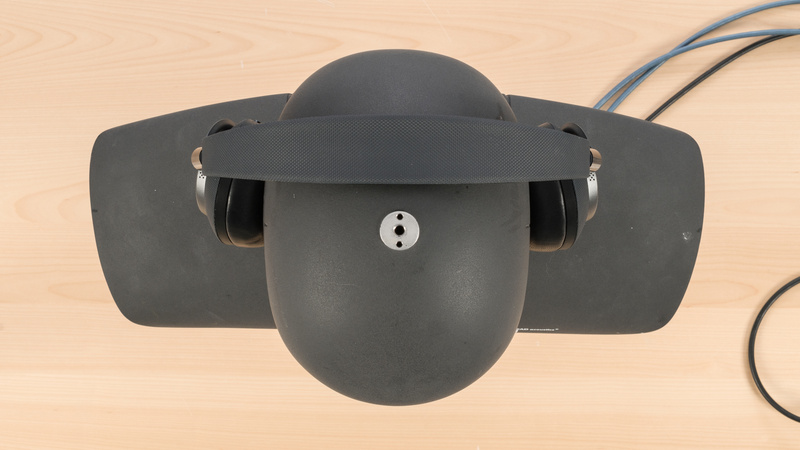 The Bowers & Wilkins PX have a sturdy and high build quality and great isolation for noisy environments and busy commutes. 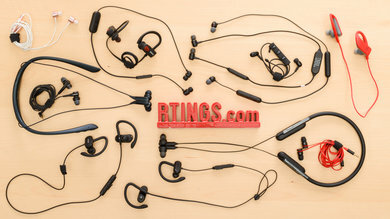 They sound above-average depending on the noise isolation profile selected, but they won't sound as balanced as some of the other wireless over-ear and they have no EQ. Unfortunately, they're a bit too tight out-of-the-box which may be an issue for some listeners, but on the upside, it makes them somewhat stable enough for jogging. 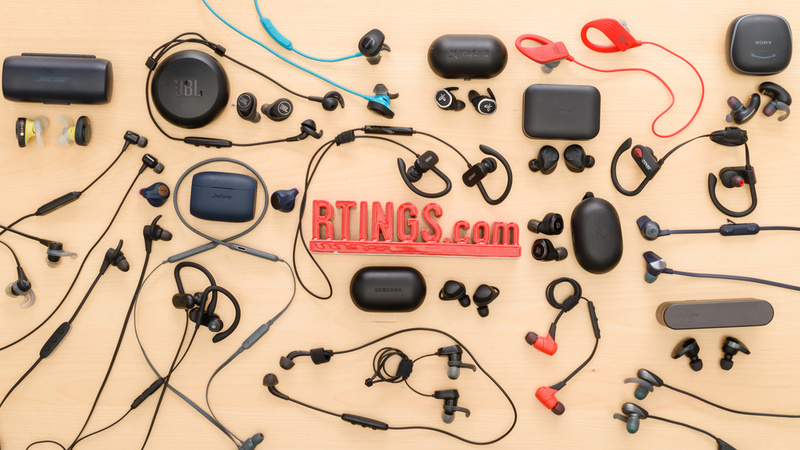 Overall, they are decent for most use cases but are best used as premium traveling headphones or at the office thanks to their strong isolation and low leakage. 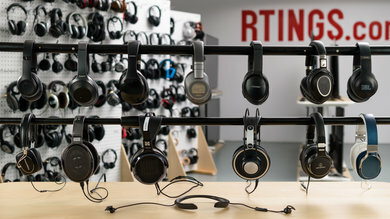 They just won't be the most comfortable option for long listening sessions. Above-average for commuting. 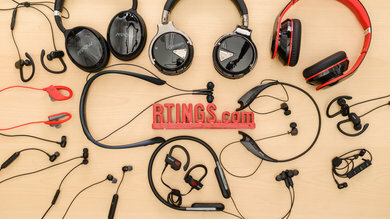 These headphones have great noise canceling for noisy commutes, easy to use controls and they barely leak, so you can mask even more ambient noise by playing your audio at higher volumes. 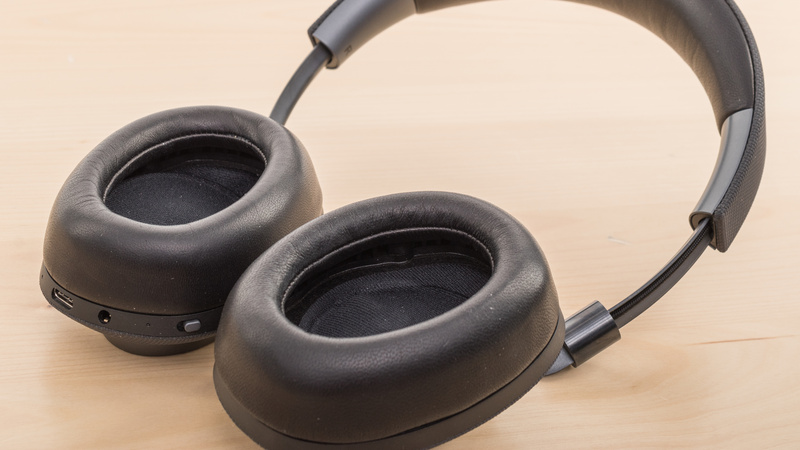 Unfortunately, they're a bit bulky and tight on the head which might not be as comfortable as the QuietComfort 35 II on long flights. Average for sports. They are tight enough on the head to be stable for jogging, and they're wireless with an easy to use control scheme. 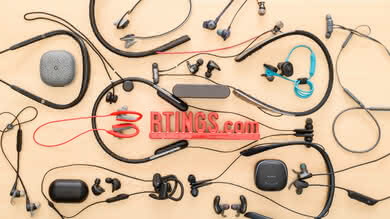 However, they are also bulky headphones that will hinder your movements during more high-intensity workouts, and they do not have the moist breathable design for sports. Above-average for office use. 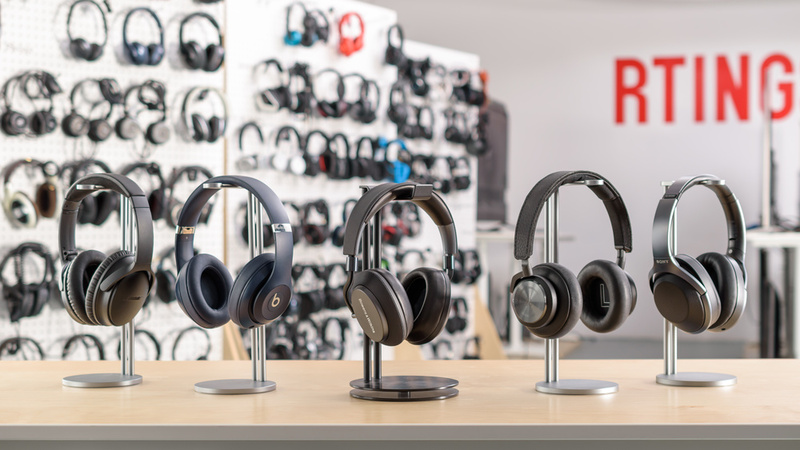 They have a good noise isolation performance and they do not leak much so they will block a lot of noise in a lively office environment and not distract your colleagues at higher volumes. Unfortunately, they are very tight on the head which will get a bit uncomfortable to wear during long listening sessions at work. Mediocre-at-best for home theater. 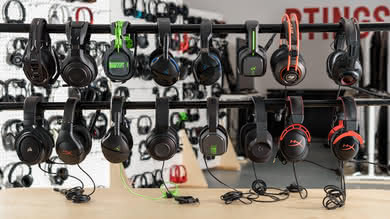 The PX have a lot of latency so they won't be ideal for watching videos but they have a decent sound and a good wireless range. They also come with a simple audio cable if you want to use them wired to reduce latency. However, the cable is relatively short so you may need an extension cord, and they're very tight on the head which might get a bit uncomfortable when watching movies. Below-average for gaming. 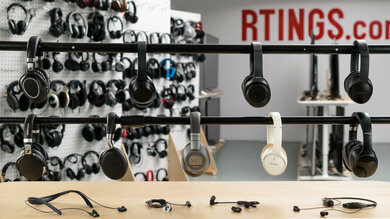 These headphones have a good wireless range, and they're easy to use. 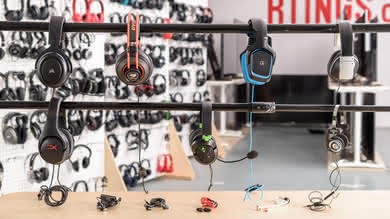 Unfortunately, they have a subpar mic that is not compatible with consoles, they're not as customizable as most gaming headsets, and the high latency will be a deal breaker for gaming.